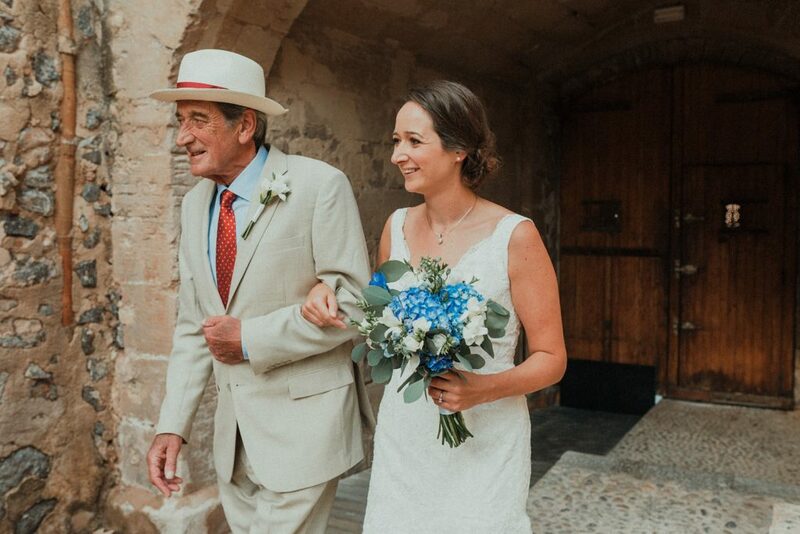 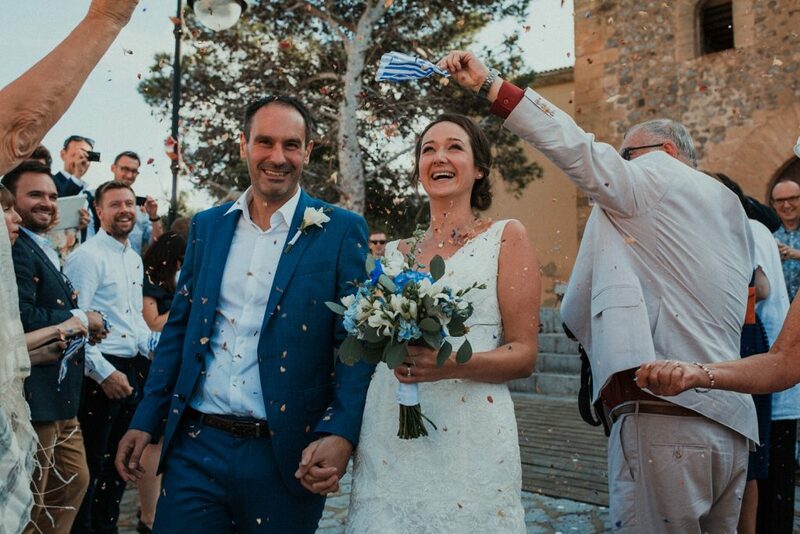 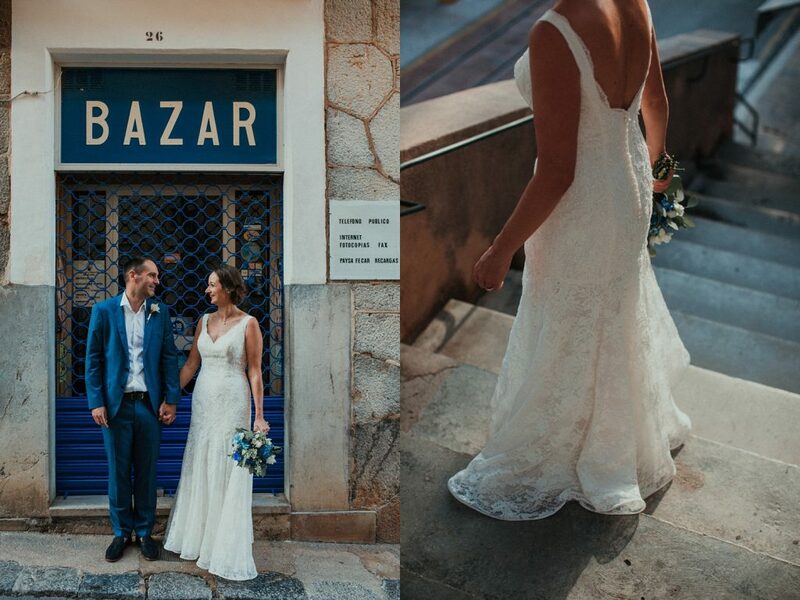 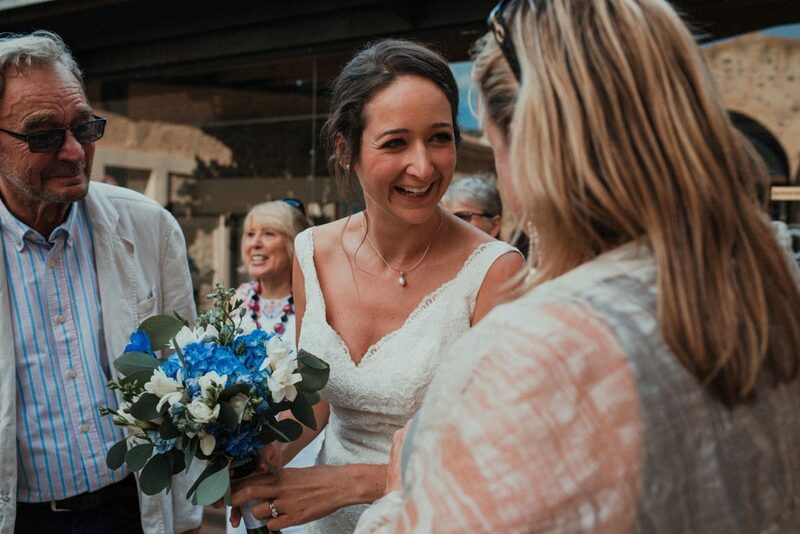 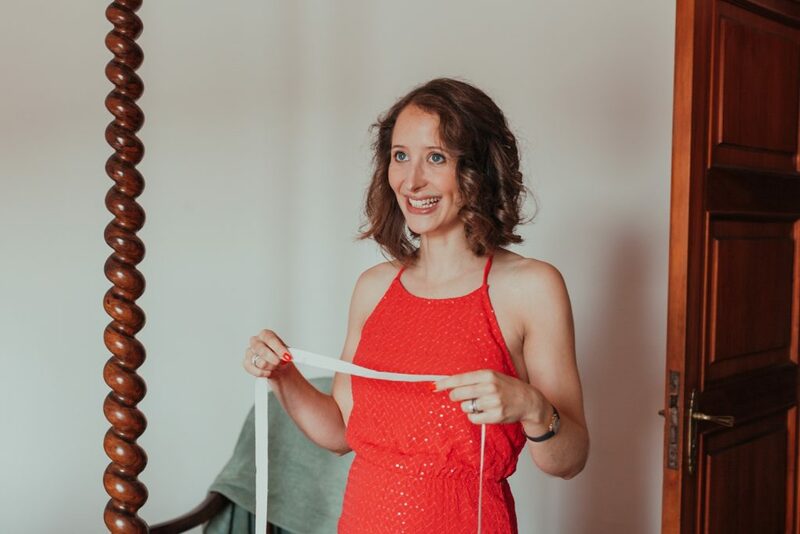 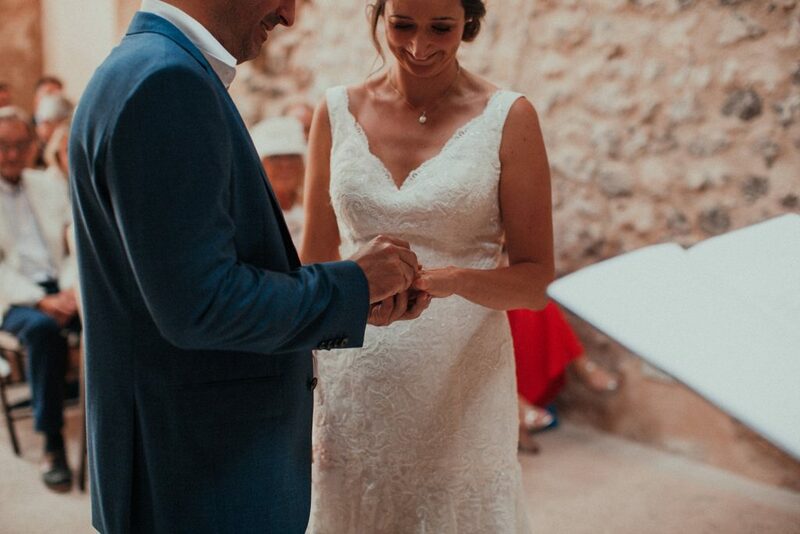 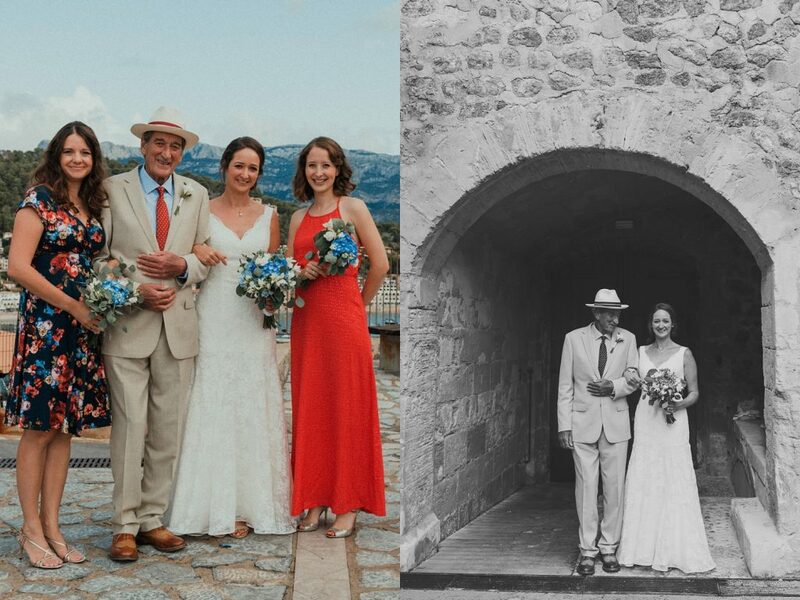 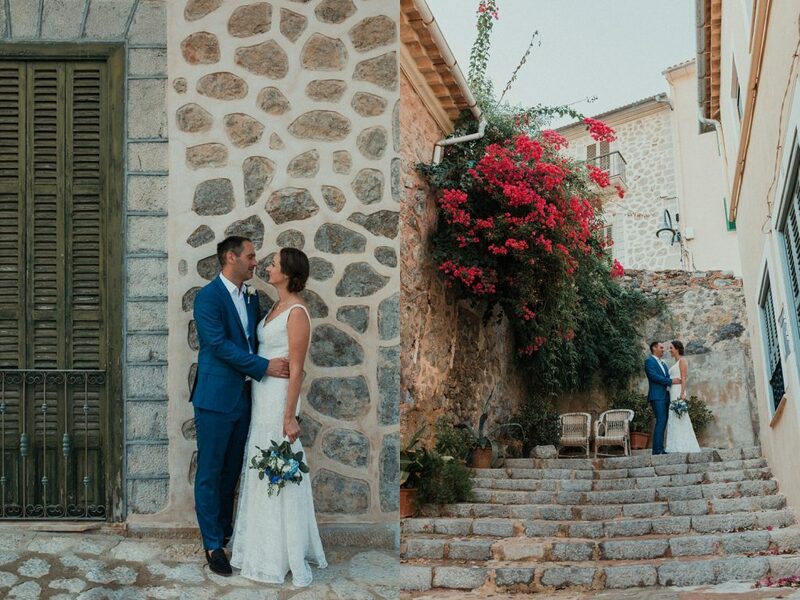 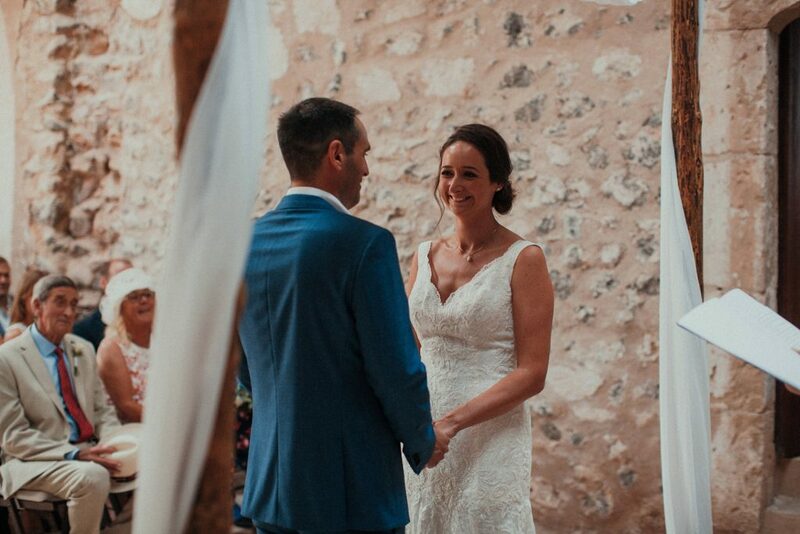 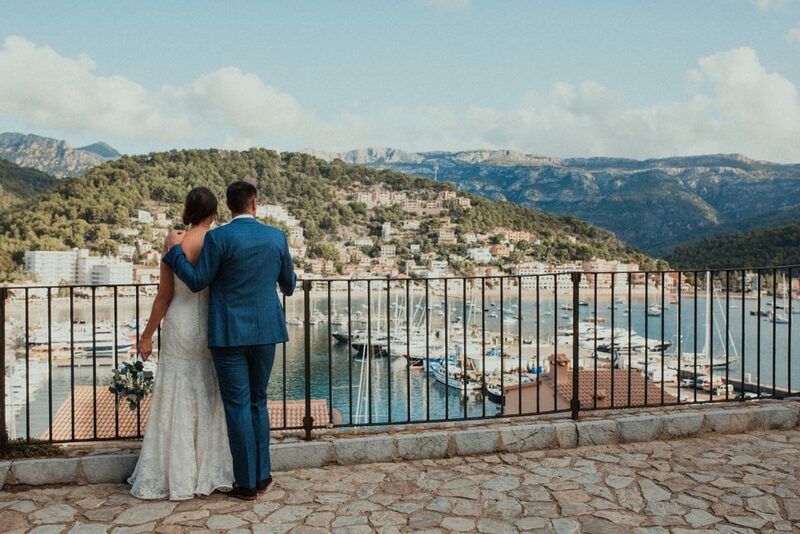 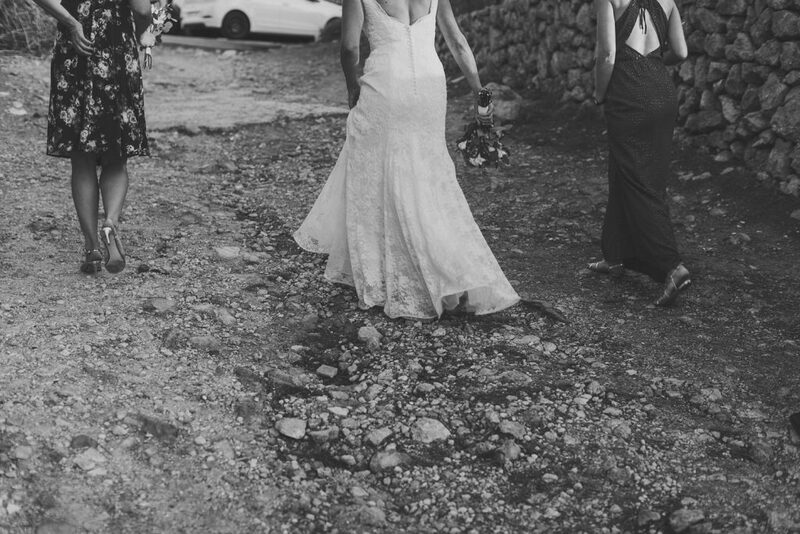 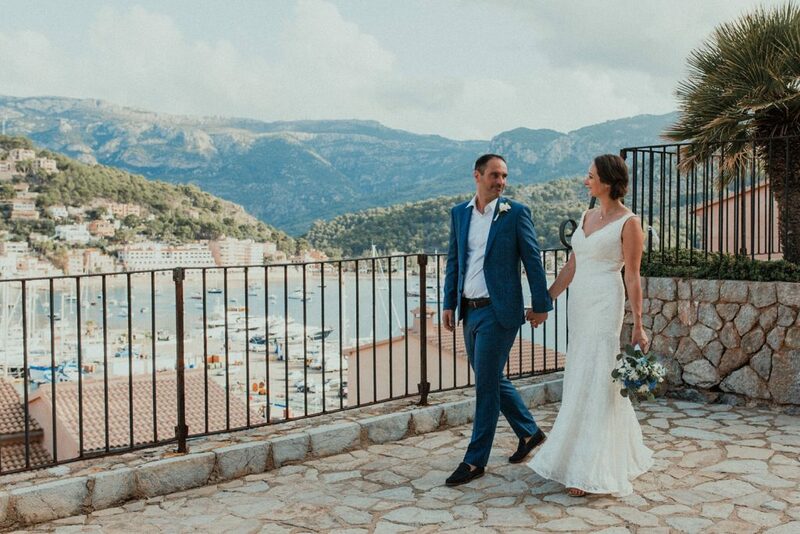 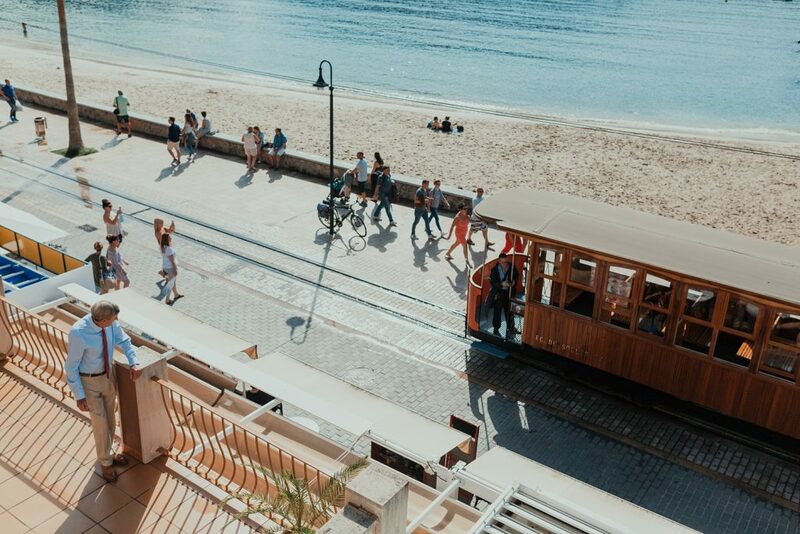 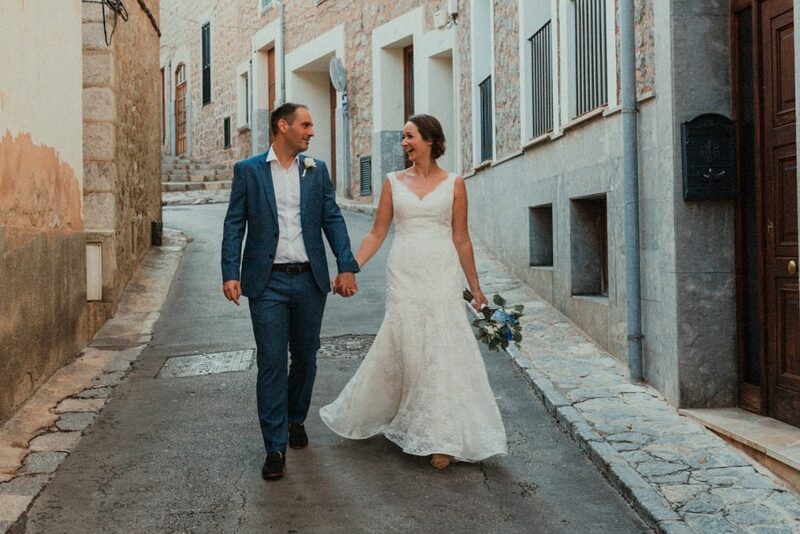 Katie and David planned their small Mallorca wedding in the beautiful Port of Soller in the West of Mallorca after they fell in love with the location on a previous holiday. 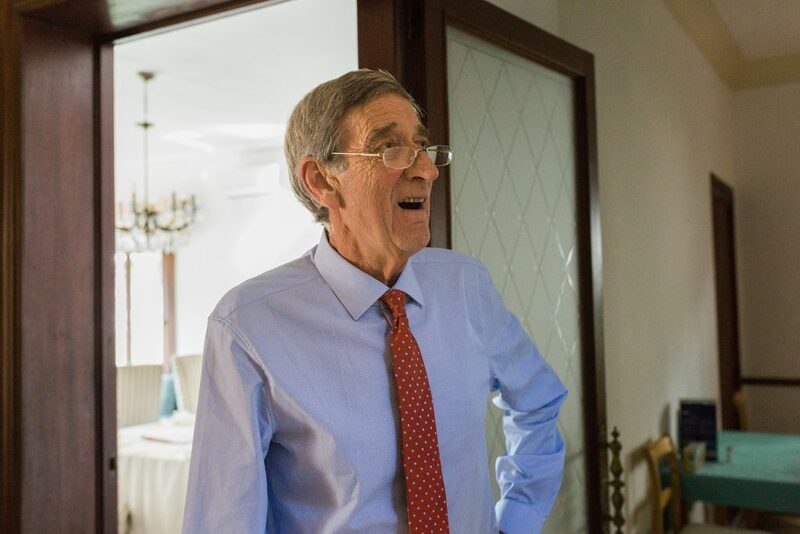 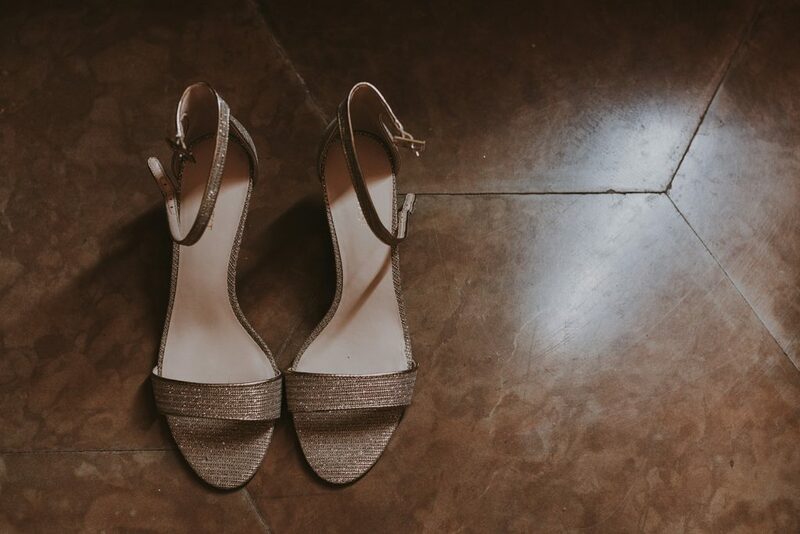 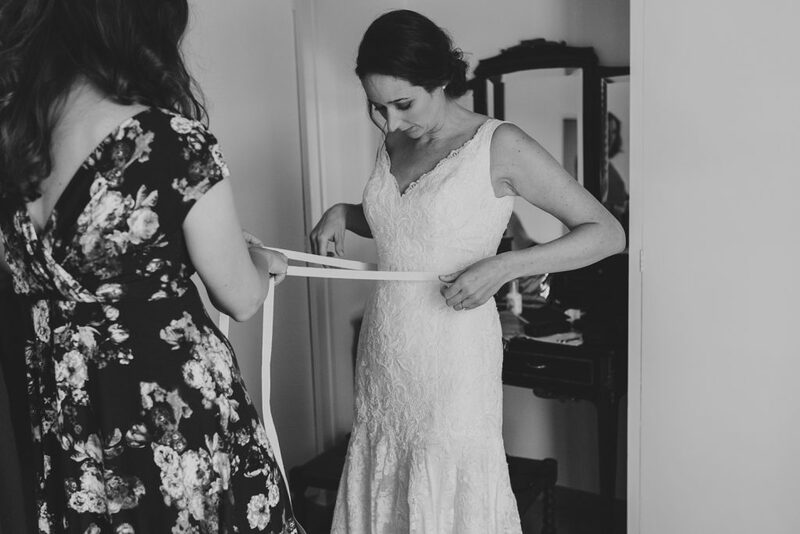 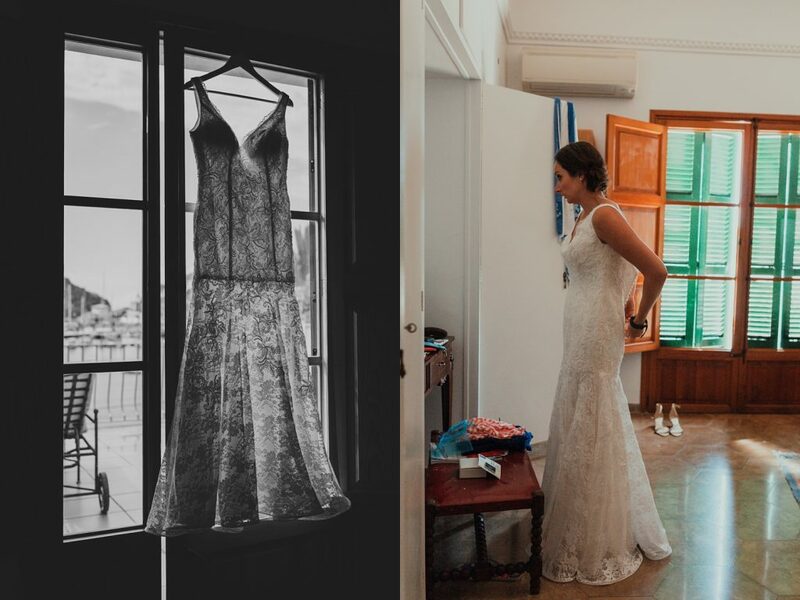 The preparations were in a beautiful villa overlooking the beach and the tramline. 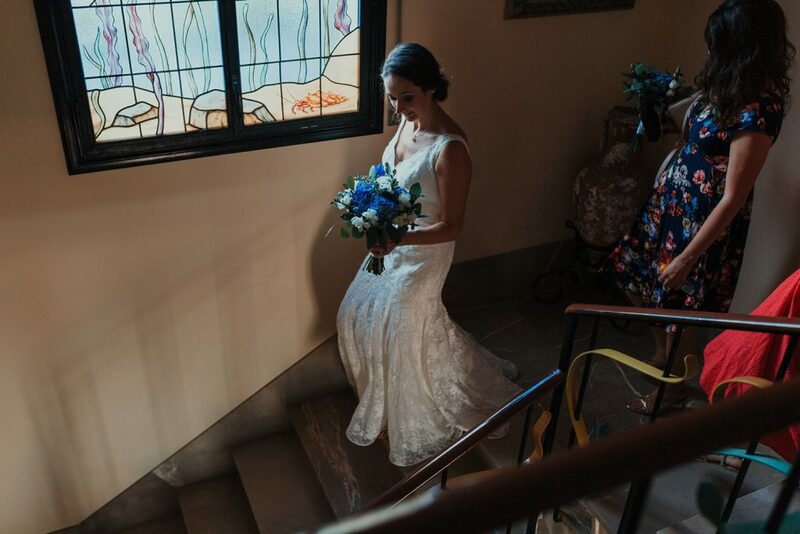 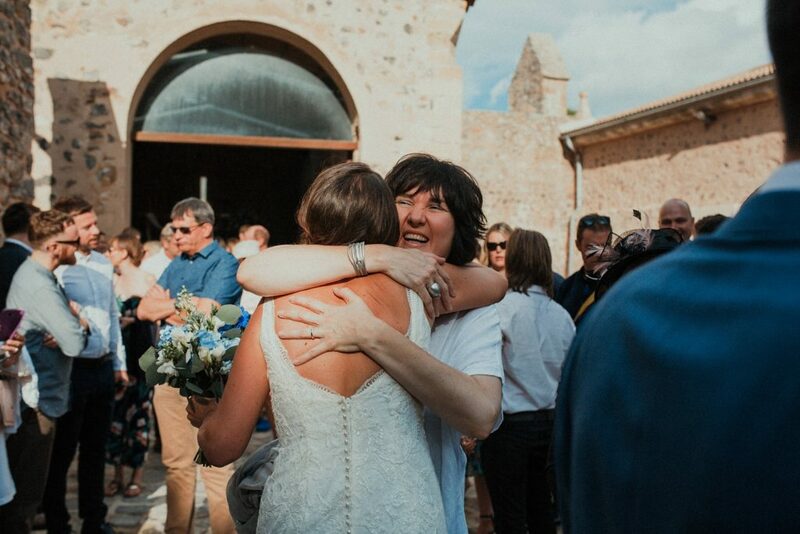 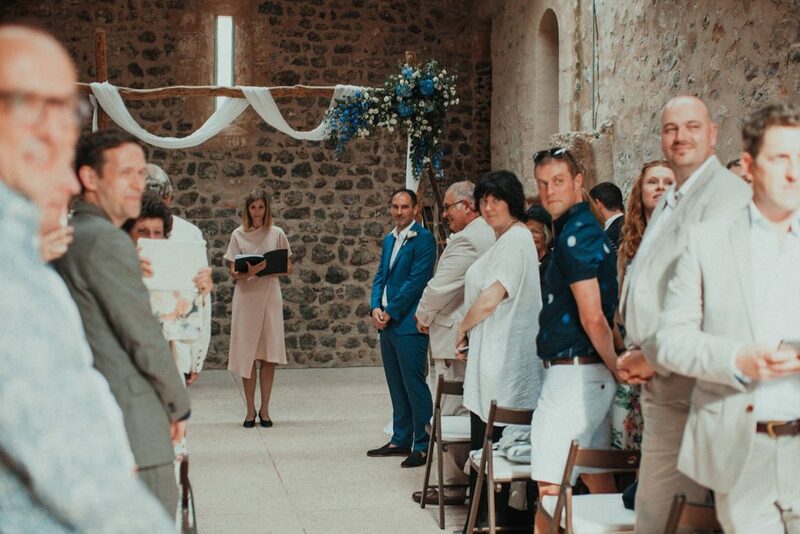 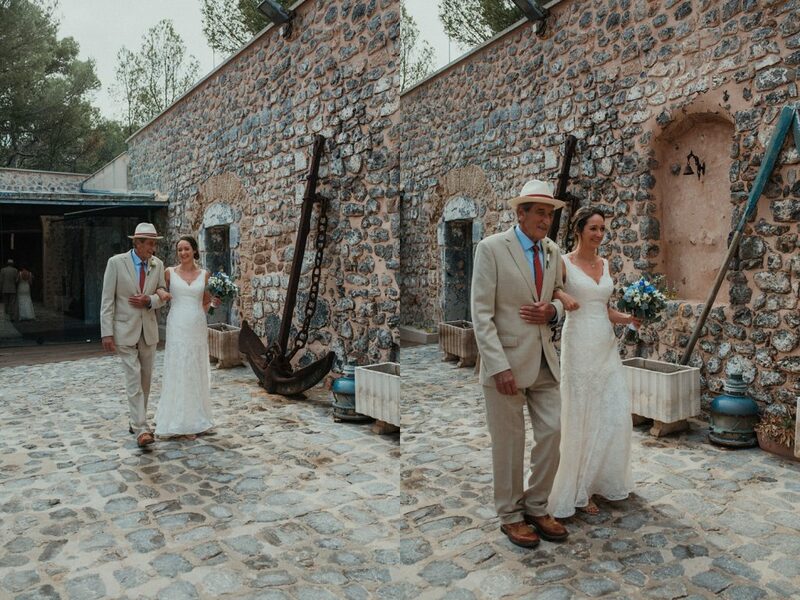 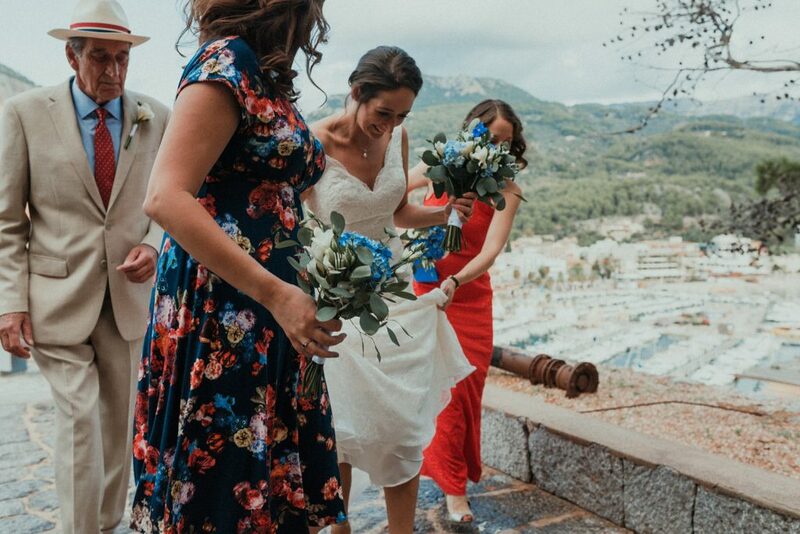 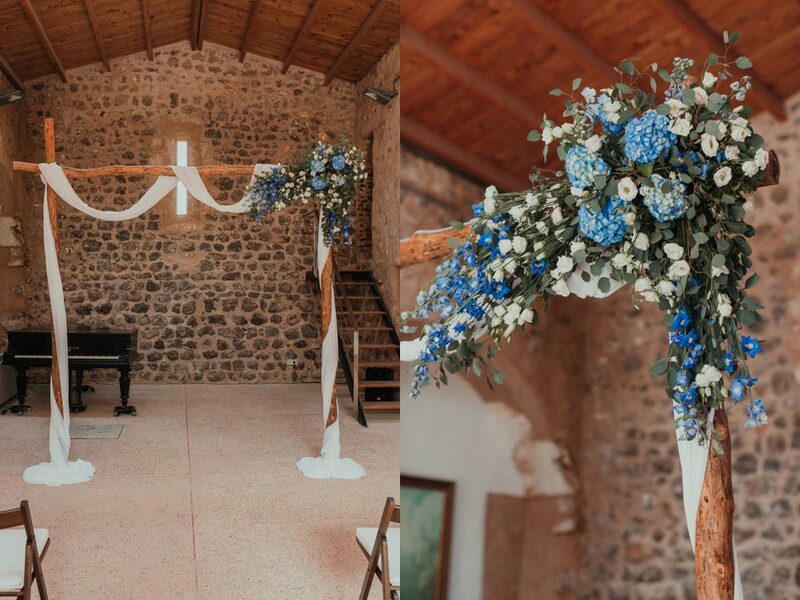 The ceremony was up on top of the hill in the beautiful old convent which overlooks the Mediterranean Sea and the Port of Soller. 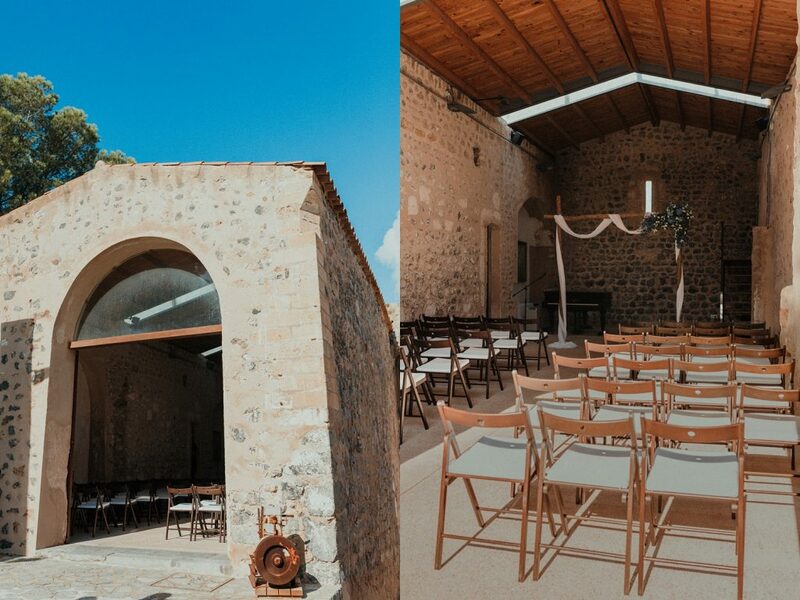 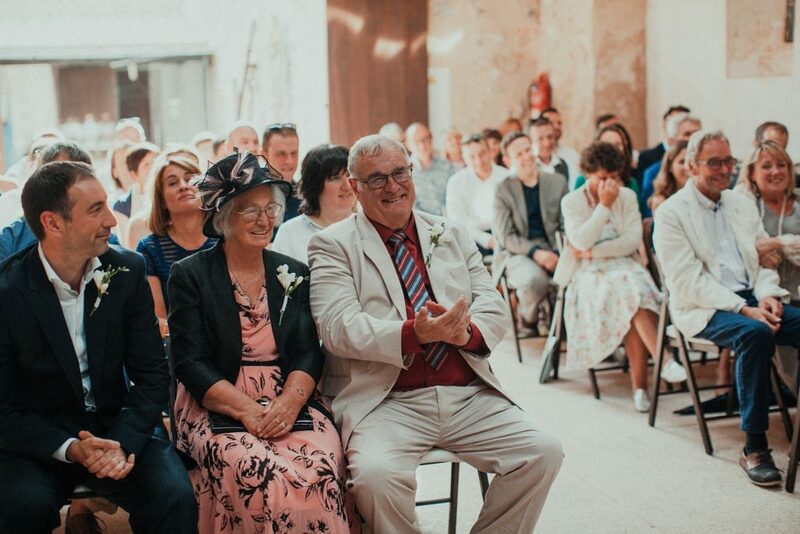 When rain was forecast, Moments quickly found this venue so that the ceremony could take place inside. 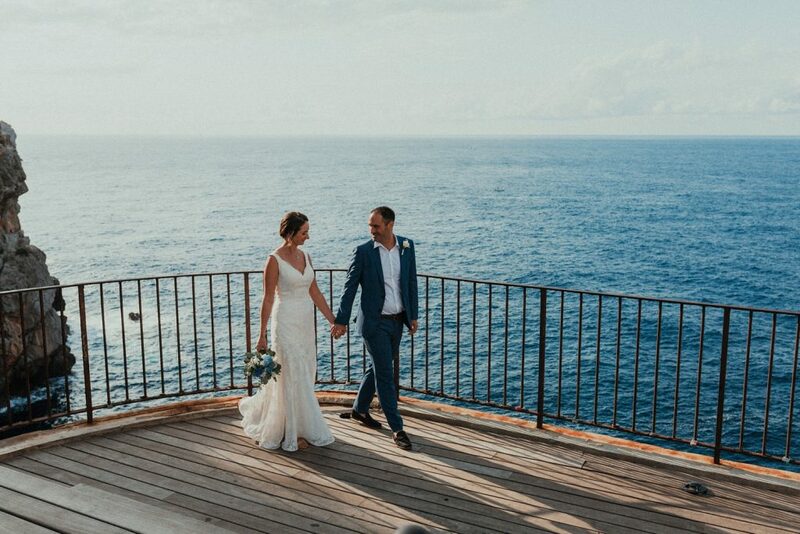 Luckily, the rain stayed away and the day was gloriously sunny. 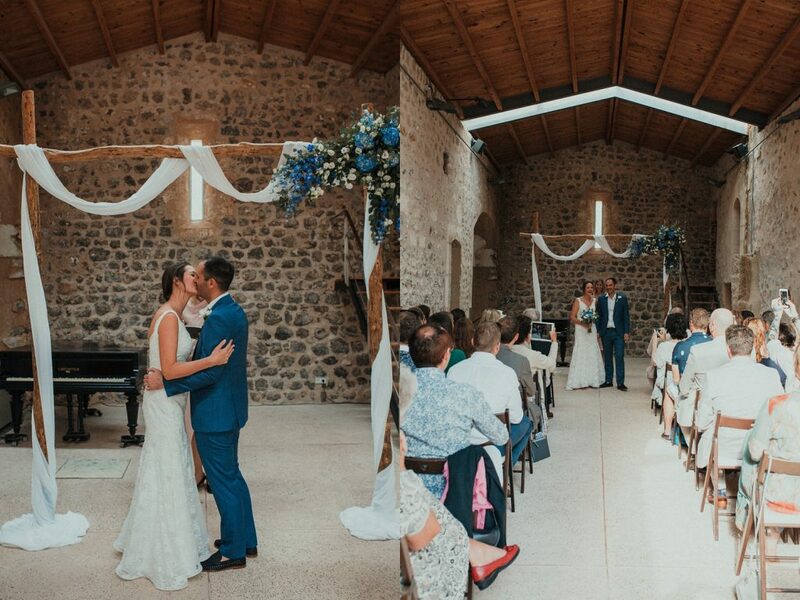 Katie and David actually loved the little chapel venue so much they preferred it their original location. 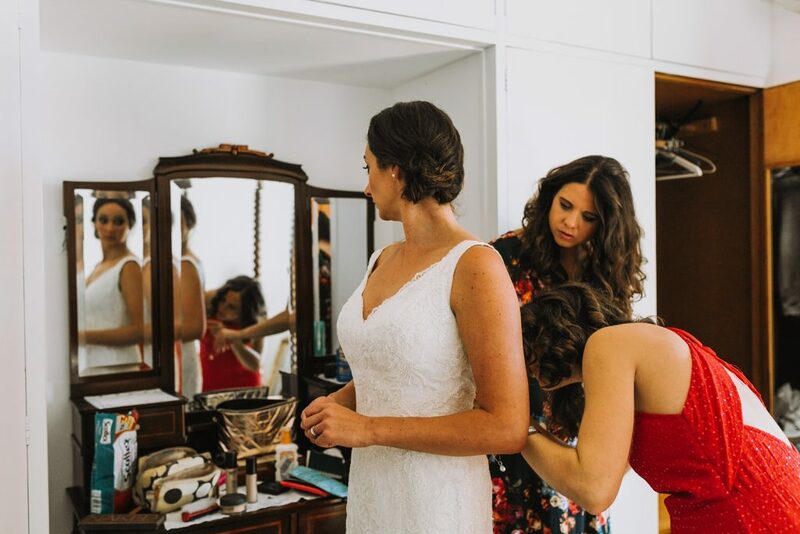 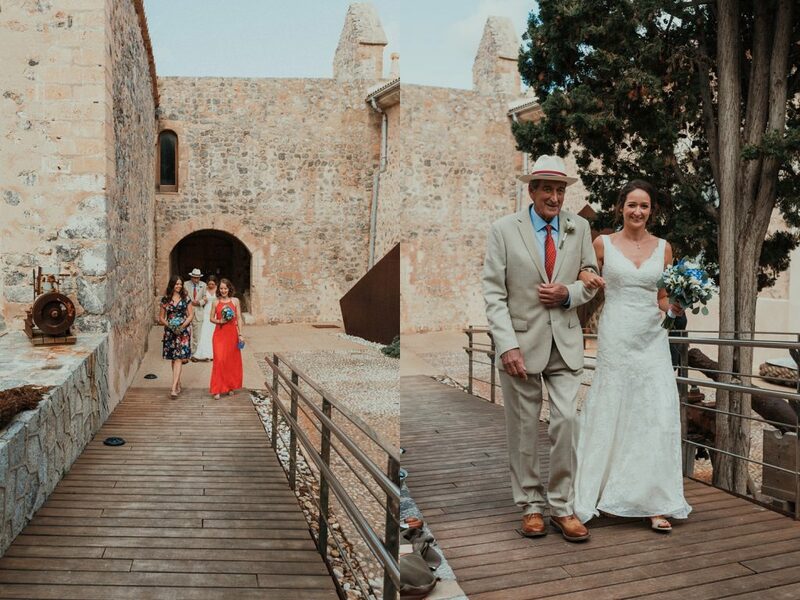 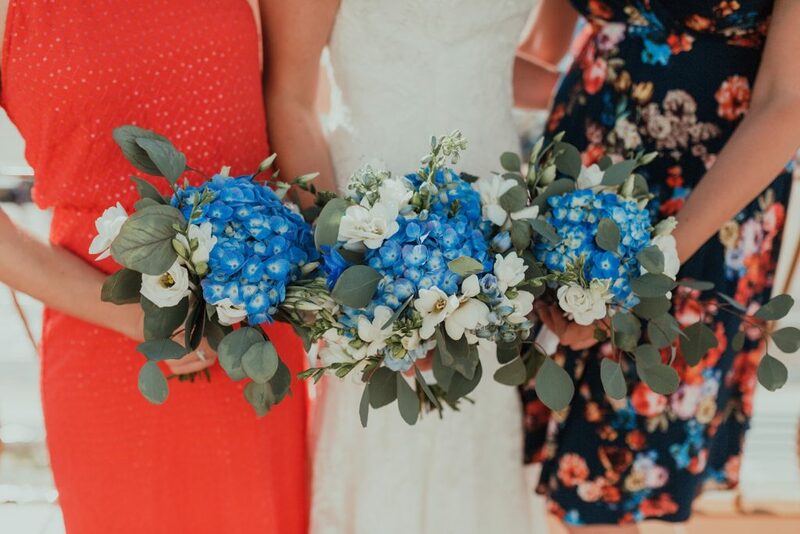 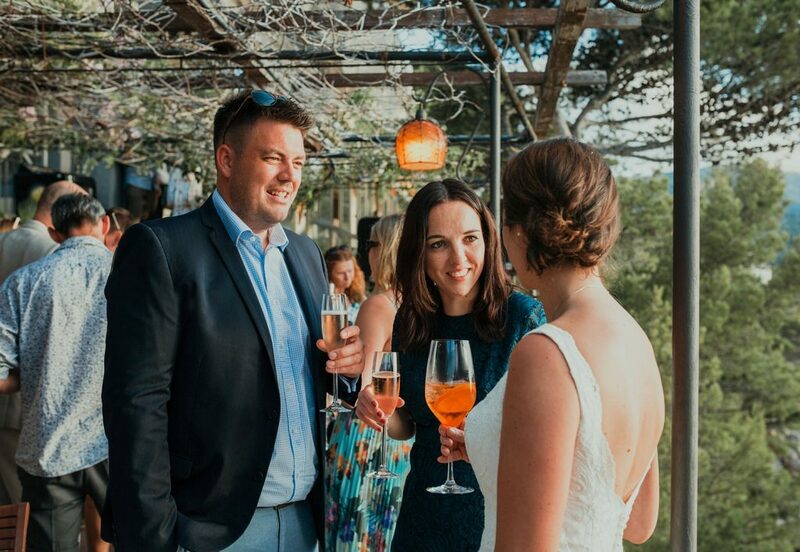 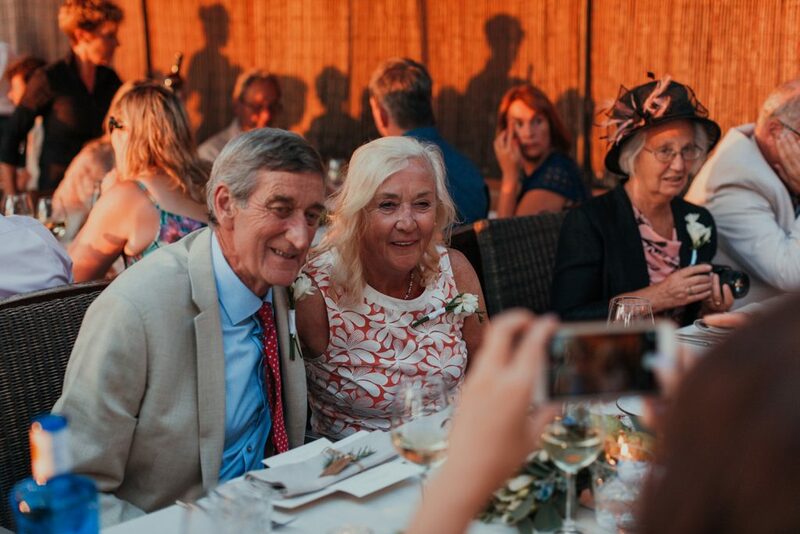 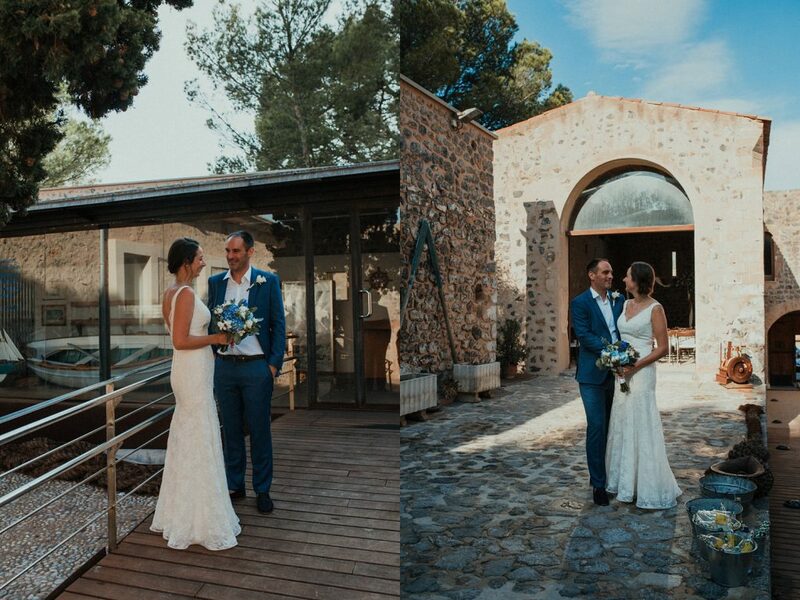 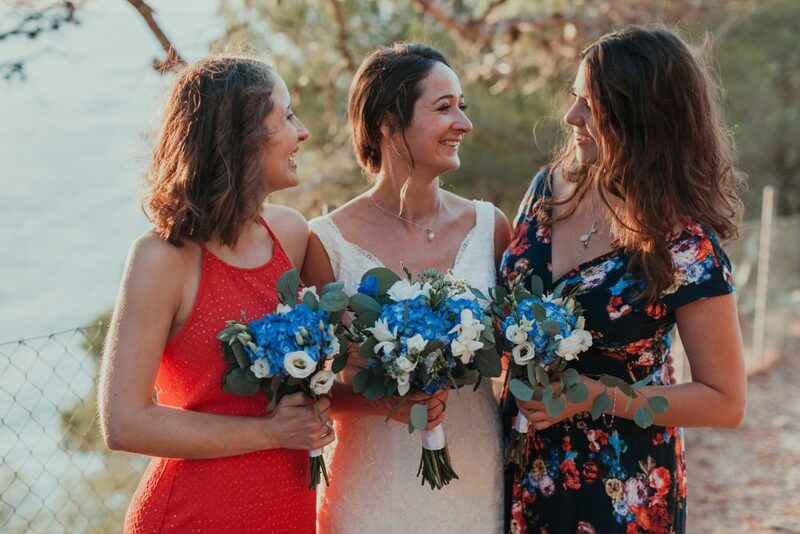 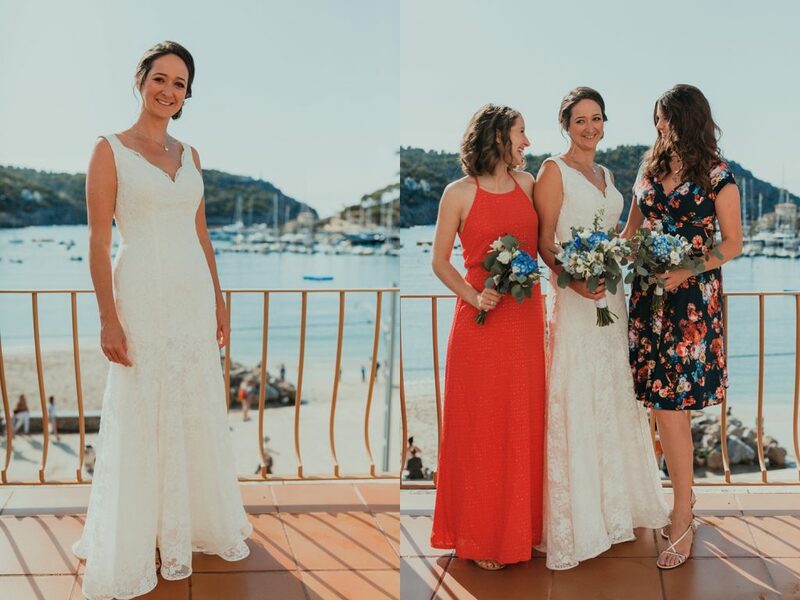 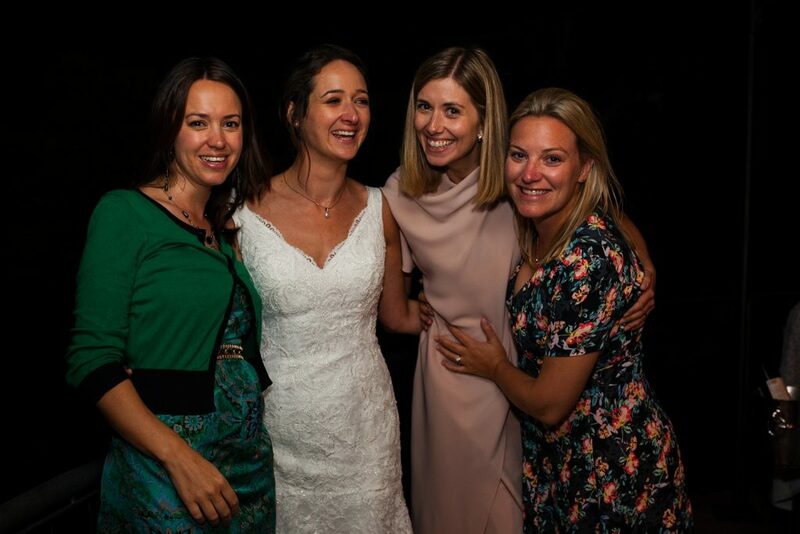 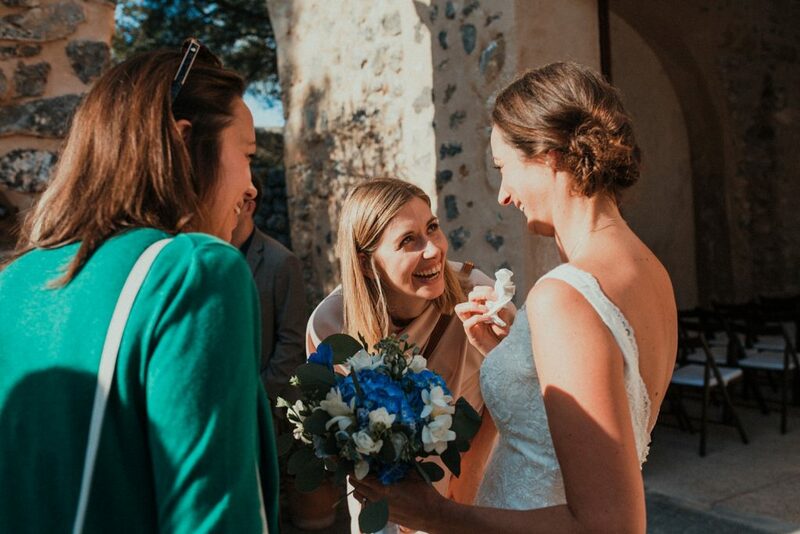 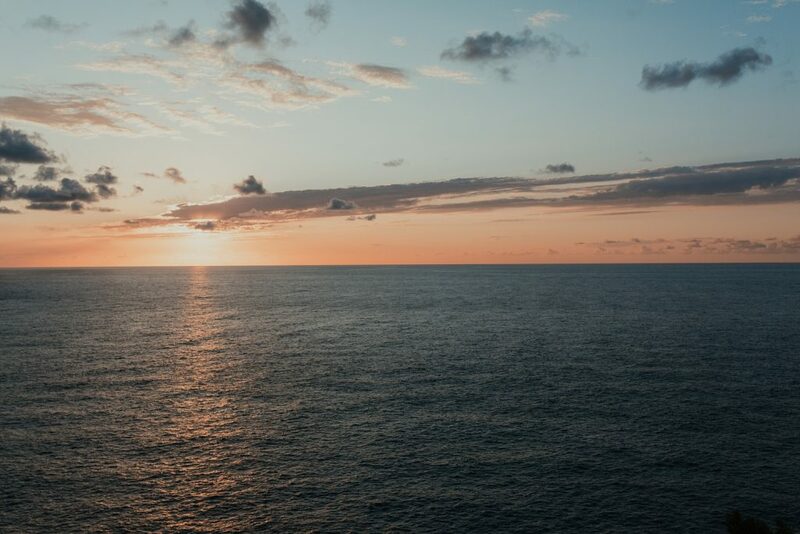 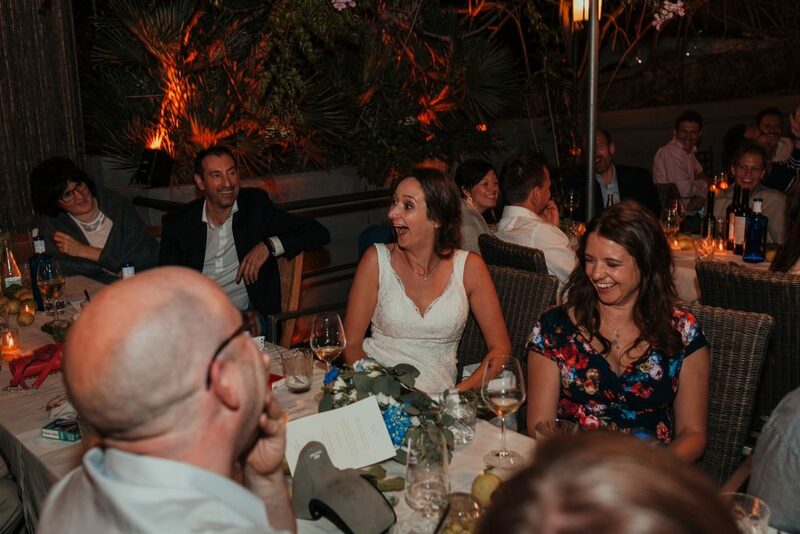 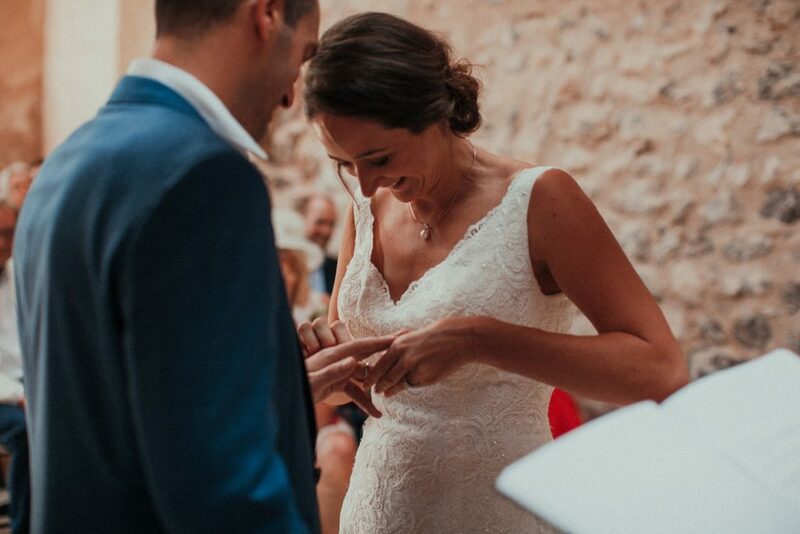 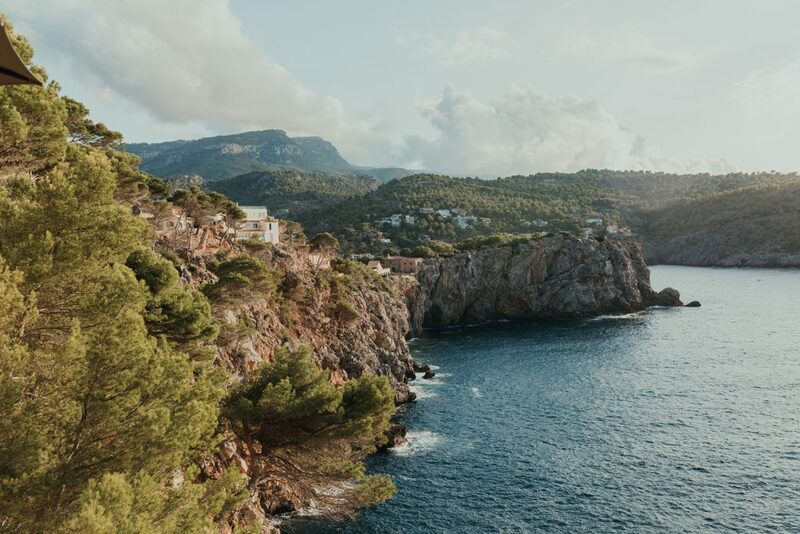 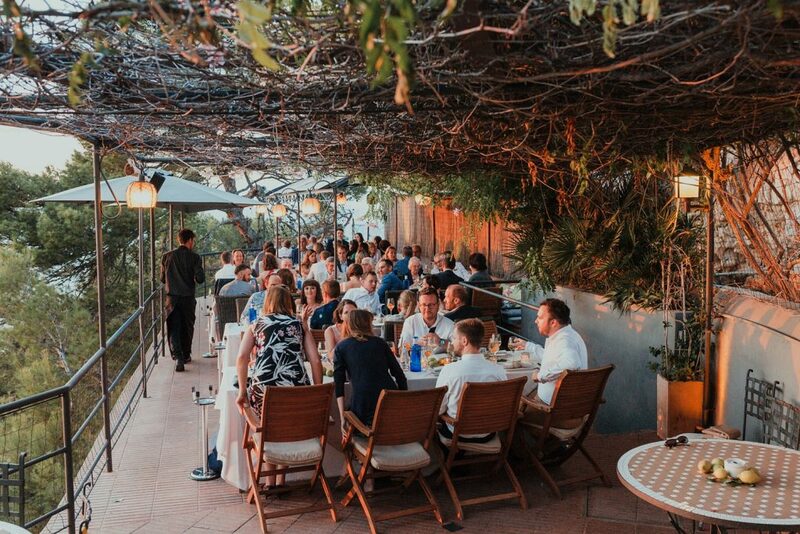 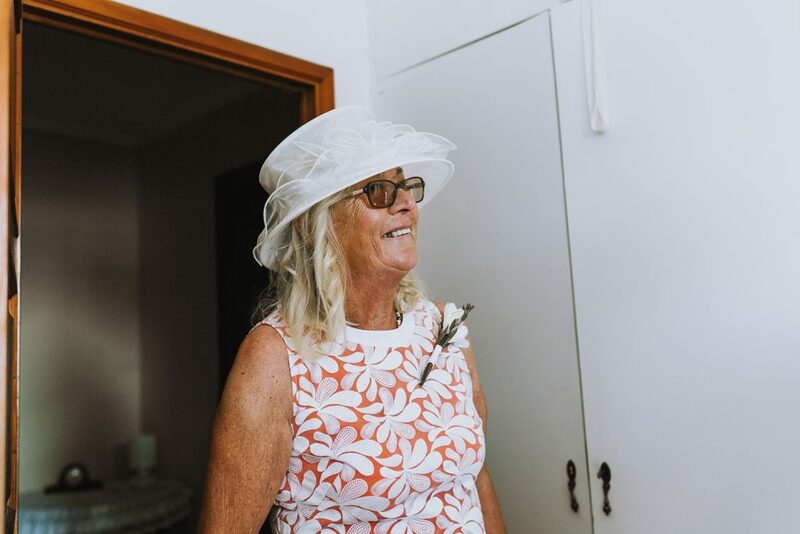 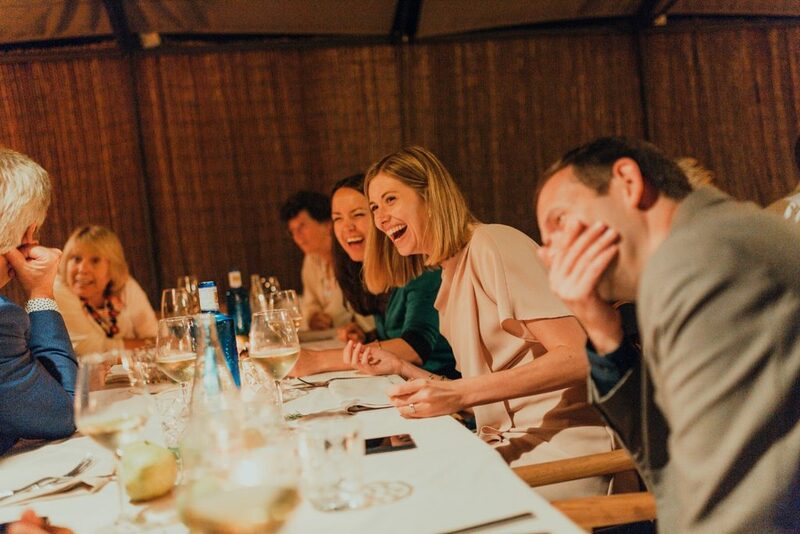 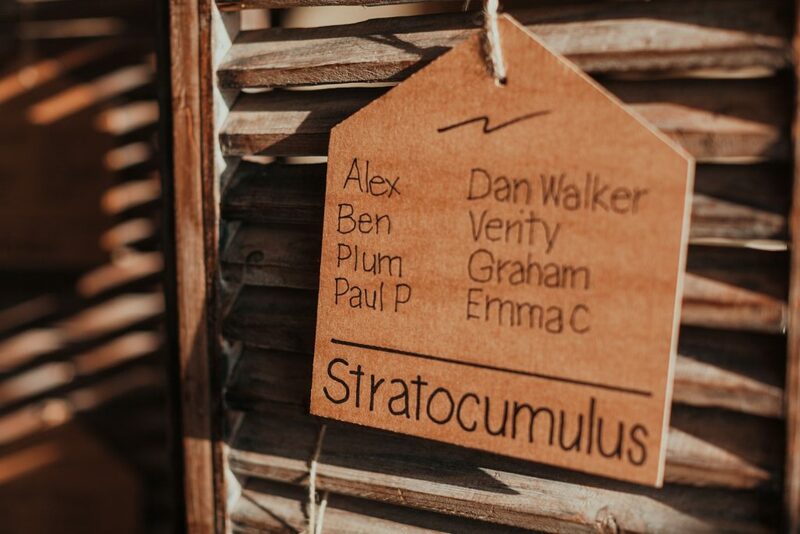 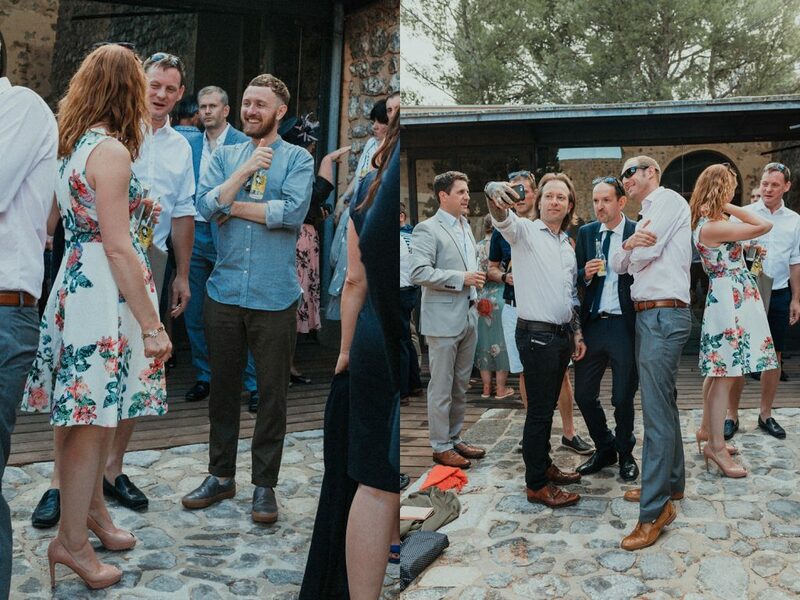 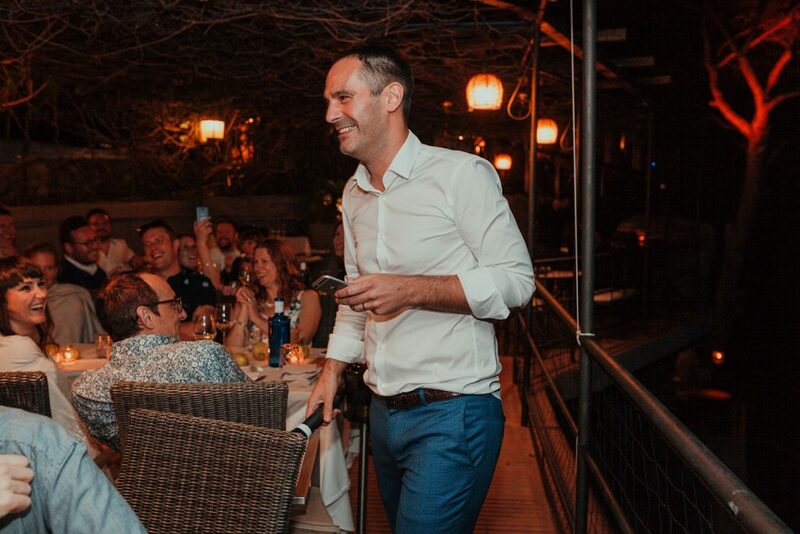 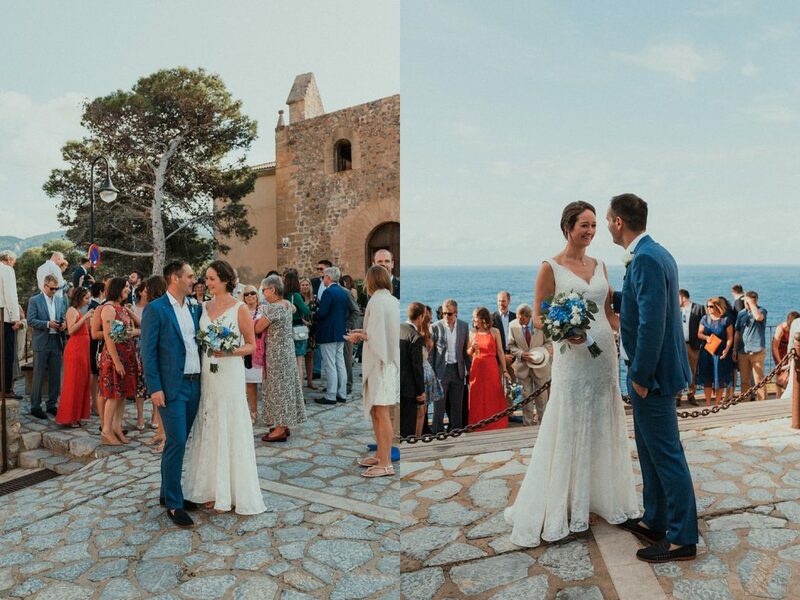 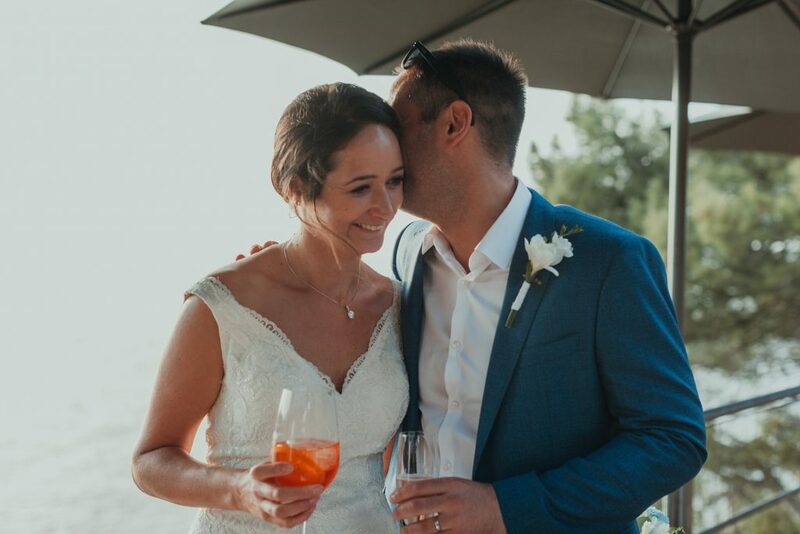 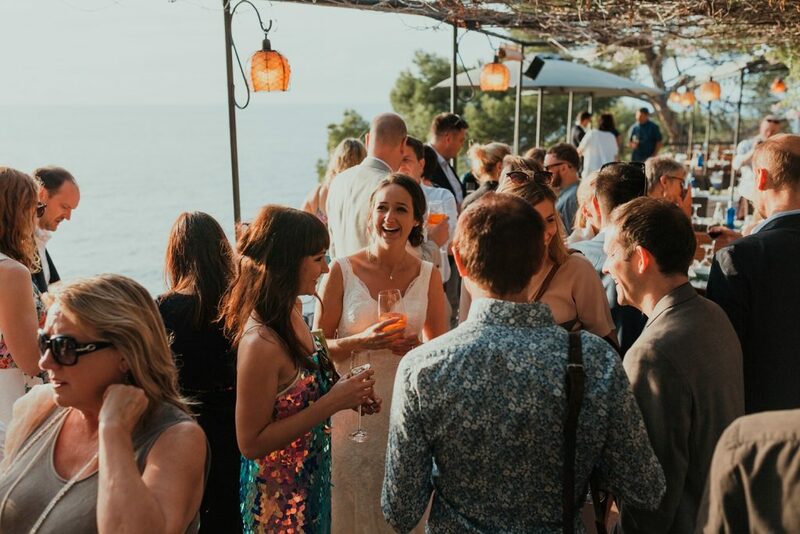 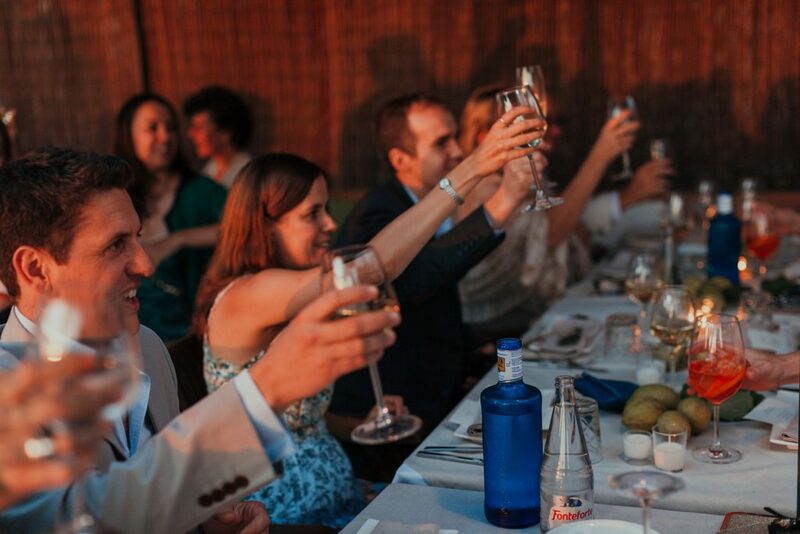 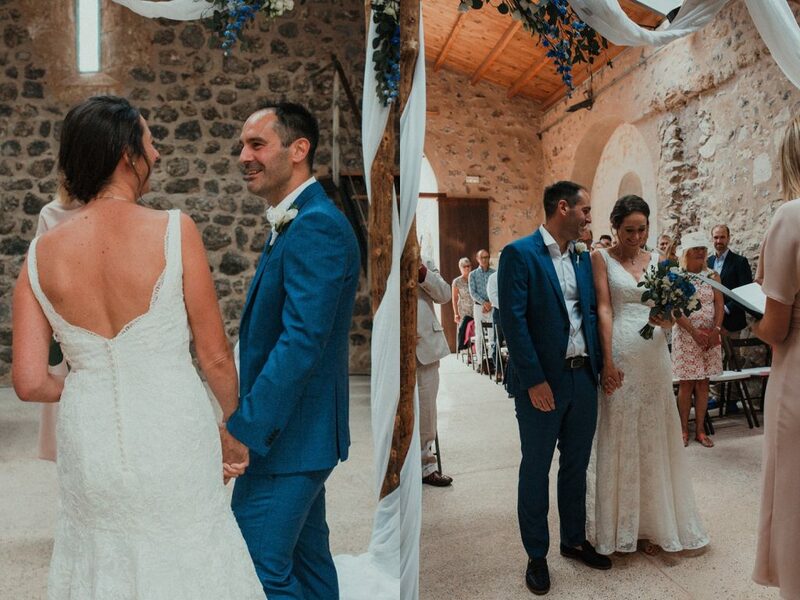 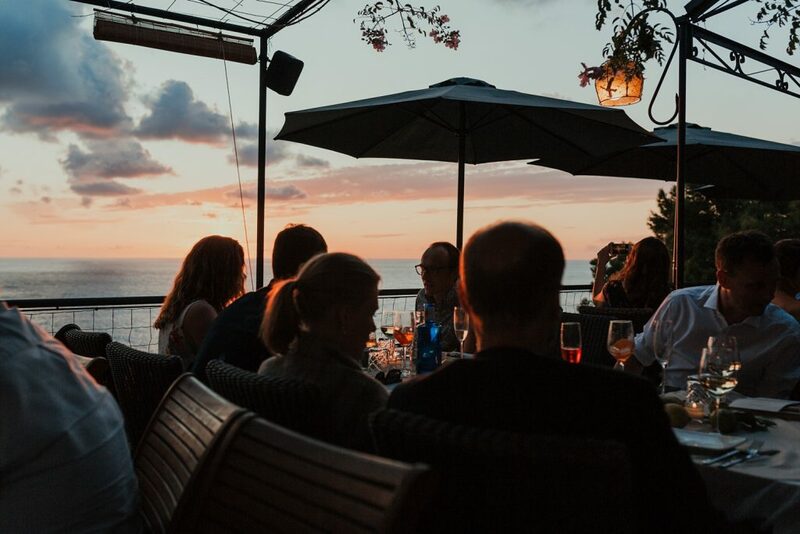 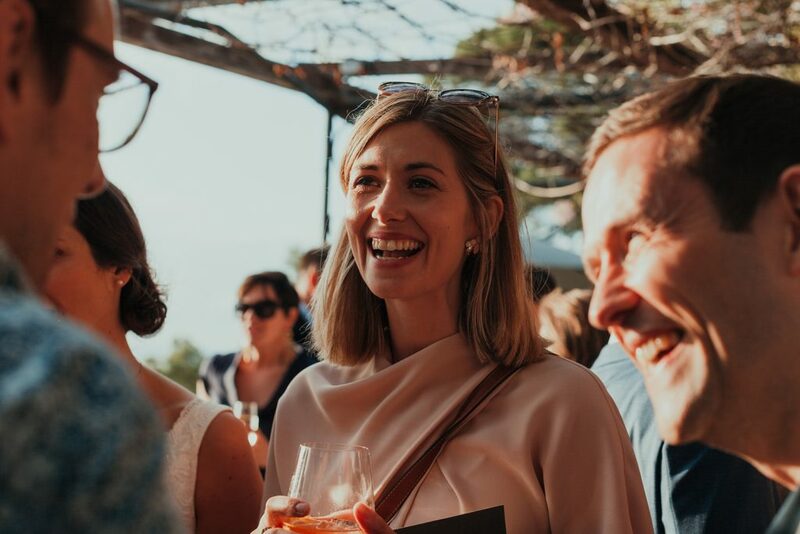 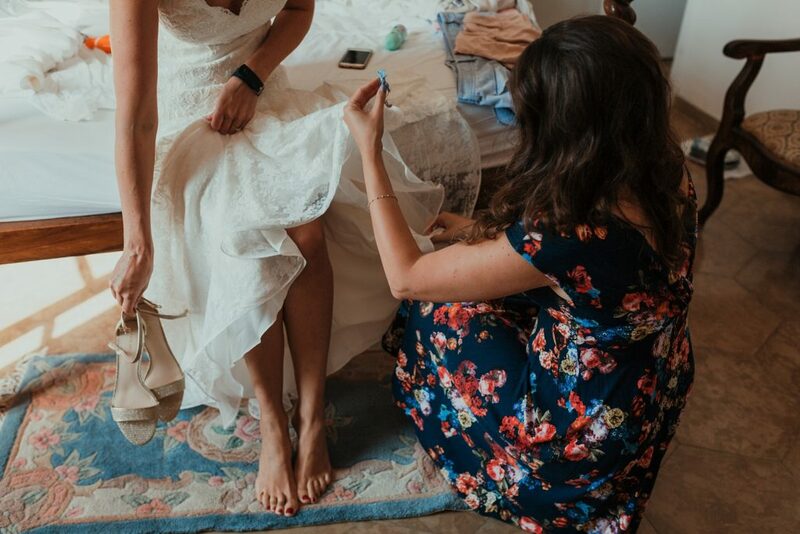 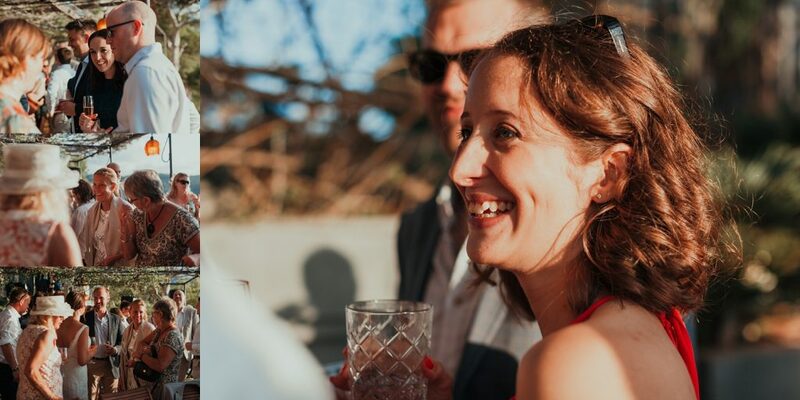 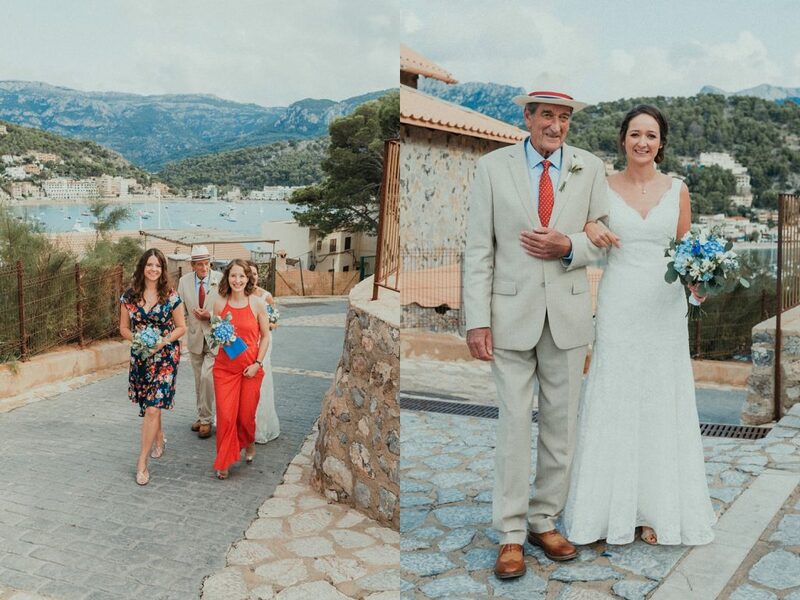 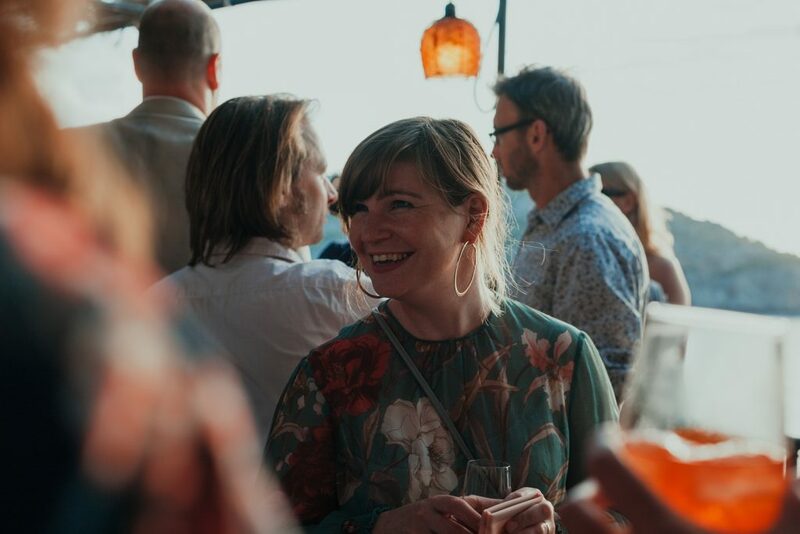 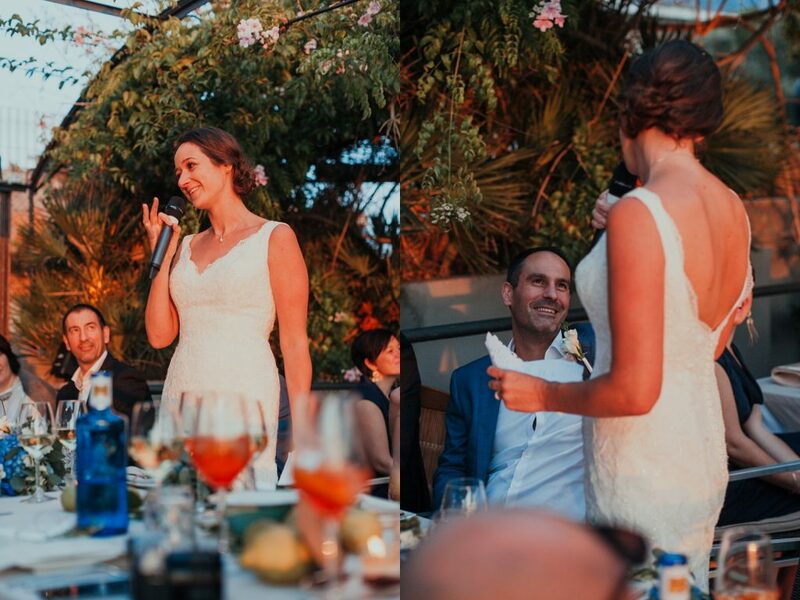 For the reception, the couple and the guests headed over to Nautilus – a beautiful, small restaurant which clings to the cliffs above Port Soller and affords the most incredible sunset views. 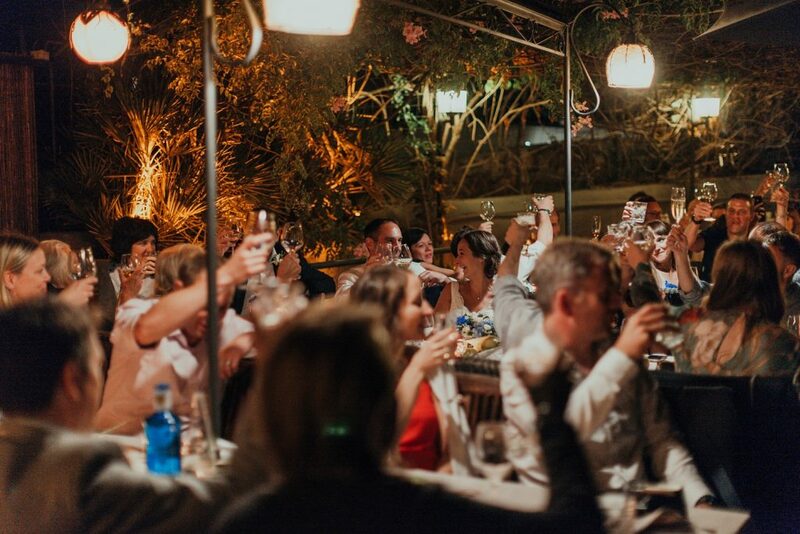 There was incredible food and then dancing into the night. 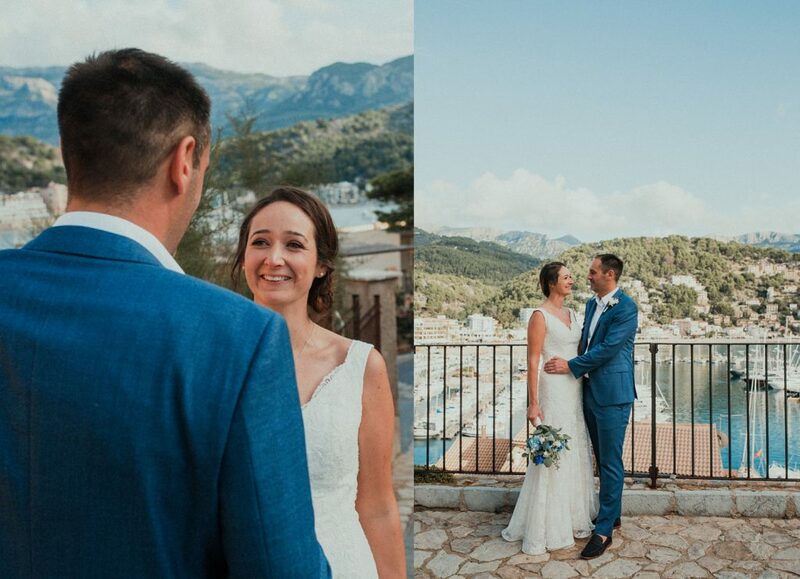 Katie and David booked me for 6 hours, so you can see what I am able to capture in this time frame. 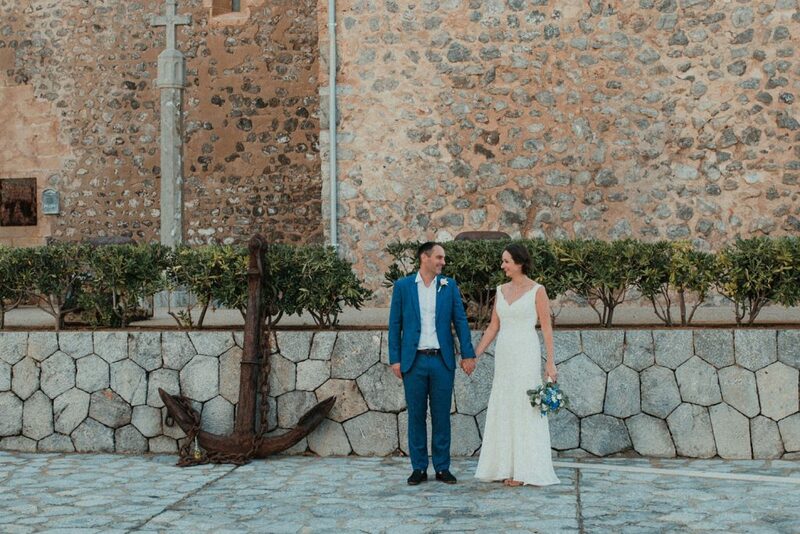 If you’re planning your Mallorca wedding and looking for a wedding photographer I’d love to hear from you!